There are variables that turn that 10-percent success rate on its head. And, often, the elk hunter stands to benefit. Find out why your chances are better than you think. 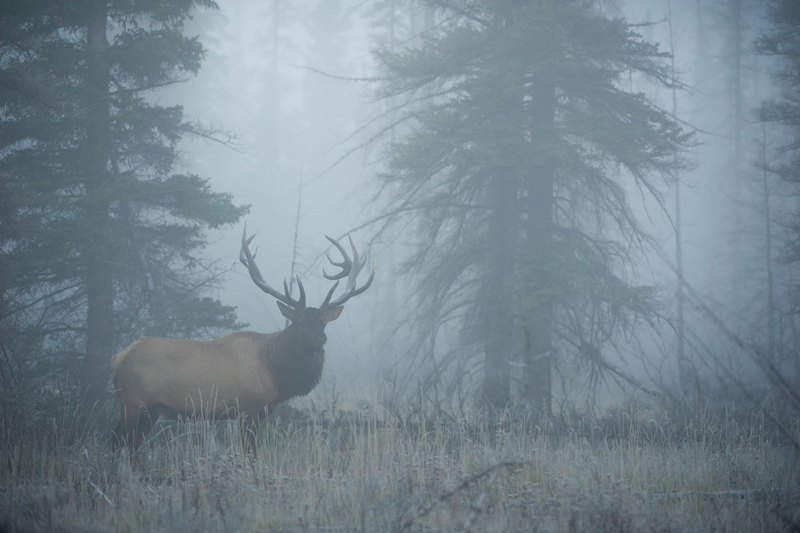 You can’t watch outdoor television, read a hunting article or listen to a podcast about the mighty wapiti without the dismal 10-percent-success-rate hunt being regurgitated for the umpteenth time. Yes, those that pursue public-land elk in over-the-counter units can pretty much hang their hat on the 10 percent or less success rate. However, public-land limited-entry tags will often jump that 10 percent success rate closer to 30 or even 40 percent. Here’s the thing: Those preaching and preaching and — wait for it — preaching about how hard elk hunting is and how impossible the odds are those who hunt premium properties with outfitters or have access to private elk nirvana. Magically, they seem to buck that 10 percent success rate nearly every year. Weird, right? Related: Is There a Point to Summer Elk Scouting? I’ve been privileged to chase white-tailed deer and turkey on heavenly tracts that receive little to no hunt pressure. It’s awesome. The difference is that I’m not going to compare my success rate on those properties to a guy who hunted the same state on public land and then boast about how I got it done despite the steep odds. In my mind, that doesn’t help bowhunting. It doesn’t recruit or inspire new bowhunters. It’s chest-pounding that I’ve come to find, in a word, gross. There are, of course, celebrity hunters who actually tackle low-odds hunts. My elk-hunting idol is Nate Simmons. He’s raw and real. His show, “The Western Hunter,” depicts true public-land adventures in brutal locations. What I love most is that Simmons appears as humble as any person I’ve ever met. Heck, I’m not sure he even has a social media page. Simmons can talk about 8 and 10 percent units all day. He goes into them and consistently gets it done. I feel like I can become a better bowhunter by reading his articles and watching his show. But I worry about what those who may be interested in trying a public-land elk hunt — or those who’ve tried it and failed — and what they might think when they hear celebrities talk about how hard it is. After all, one of the reasons I hunt is to inspire others to take up a bow and quiver and join our community. Last year I killed four bucks — one in Colorado, one in Kansas, one in Oklahoma and one in Texas. Besides the one in Colorado, those bucks were taken on outfitted hunts. I’m not ashamed of that, but I want newbie bowhunters to understand that my odds of success in these states increased greatly because I was with an outfitter on private land. My Colorado hunt was DIY, but I was, again, hunting private ground. Sure, I did all the leg work — hanging cameras, scouting from afar and the like — but the pressure on the deer I was hunting was a far cry from what I’d find on public dirt. Thus, I don’t feel that I can lump my Centennial State muley success in with the success odds of a unit that boasts thousands of acres of public land. I’m a very goal-oriented person. This season, I want my adventures (win, loose or draw) to inspire others. To that end, at least 50 percent of my fall bowhunting ventures will take place on public land. These will be the only hunts I’ll feel comfortable stacking up against blanket success rates for the given state or area. Bowhunting public land is tough, but it’s incredibly satisfying. Heed the advice of those who do it and find success on it regularly. Forget about the odds. Forget the impossibilities. Forget about the expectations of others. Go have fun. Go bowhunting, and let me know how it goes. You can email me at jbauserman@grandviewmedia.com.